The Property at 7901 Gulf Blvd, Navarre Beach, FL 32566 is for sale. Custom-Built Gulf Front 3 Bedroom, 3.5 Bath Townhome on Navarre Beach is a west end unit and comes fully furnished and is decorated with tasteful Mediterranean architectural style finishes throughout and features every upgrade imaginable. 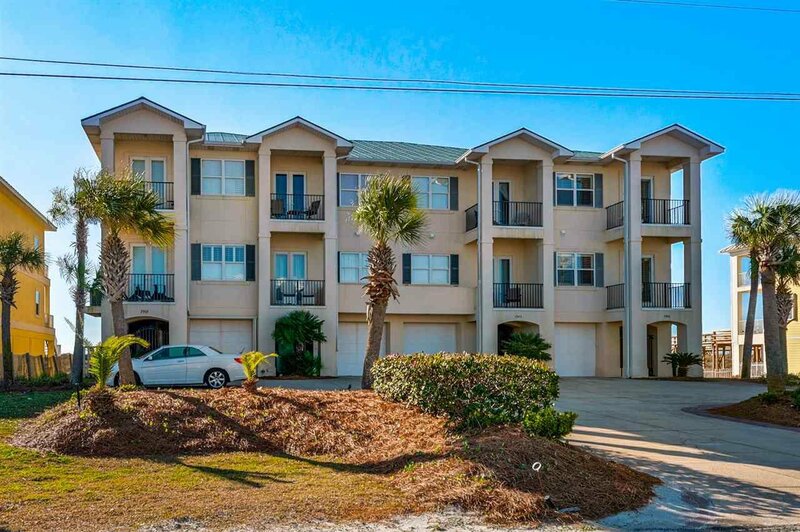 This is by far one of the finest townhomes you will find on Navarre Beach! There are 10 ft. ceilings with crown molding on each level and travertine tile flooring throughout. Arches, columns, plantation shutters, and beautiful lighting fixtures add to the overall appeal of the home. There are large Gulf front balconies off the main living area and the master bedroom, plus each additional bedroom has its own balcony and private bathroom. Every upgrade imaginable including a cook's dream of a kitchen with custom cabinets, high end appliances and granite countertops. It is furnished with very elegant furnishings and decor and has everything you need to enjoy life at the beach. During March 2018, experienced a complete update throughout including fresh paint, new furnishings and technology throughout. New flat screen TVs in all the rooms, with a 60" smart TV above the living room fireplace and a 42" smart TV in the master. Two decorative fireplaces, one in living room and one in master bedroom. There is an impressive courtyard entry into the unit at ground level and one of the nicest garages you will find on Navarre Beach. There is a dune crossover to the beach that connects directly to the main level balcony. Whether considering as a primary residence, 2nd home or vacation property, this townhome is a must see! !